Nokia's Lumia 925 is the company's new flagship device, and in a surprising twist, have partially departed from the reliance on a polycarbonate monoblock for their Lumia line, instead going for a combination of a polycarbonate rear, an aluminum frame in between, and an edge-to-edge screen up front. The Lumia 925 feels very good in the hand, despite the strips of aluminum running down the sides, where users typically grip their smartphones. The metal strips also act as antennas, similar to the iPhone 4, 4S, and 5. And despite its thinness, the use of metal in the frame leads to a very solid and sturdy build. At just 139g in weight, the Lumia 925 is also very, very light. 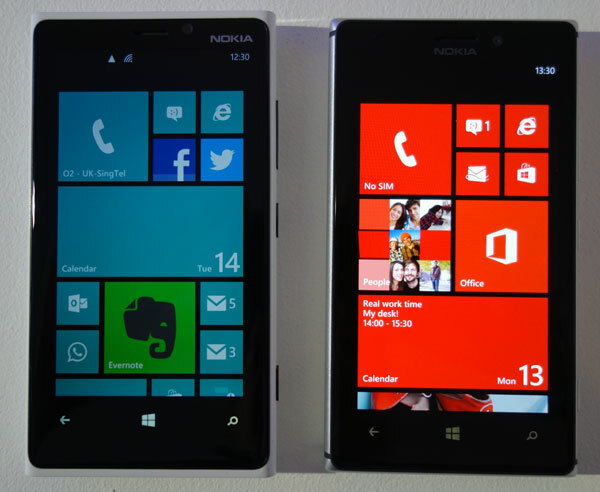 The AMOLED display on the Lumia 925 (pictured right, above) comes across as really bright and vibrant. 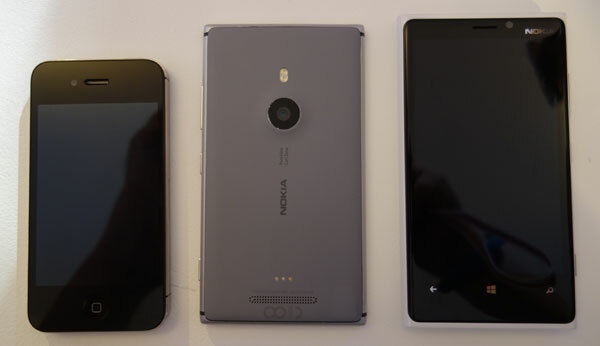 And while the display on the Lumia 920 was already pretty good to begin with, it did look a little subdued next to the Lumia 925. Whether text or multimedia, the displays on the demo prototypes were spectacular to view as well. Hopefully, the production units will look the same when they finally arrive. 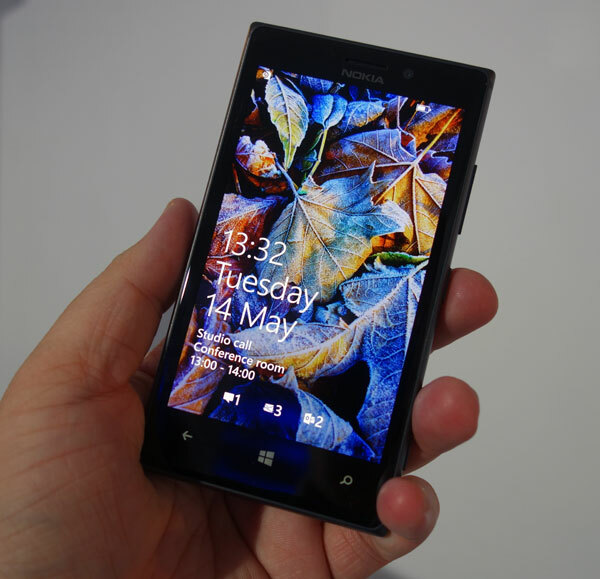 Nokia equips the Lumia 925 with the second generation of Gorilla Glass, dubbed Gorilla Glass 2. 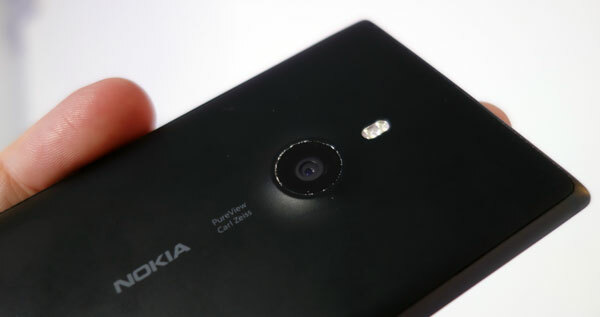 The rear camera on the Lumia 925 features an 8.7-megapixel sensor. Like many a Nokia device, the lens is made by Carl Zeiss, while PureView and OIS technology are available too. 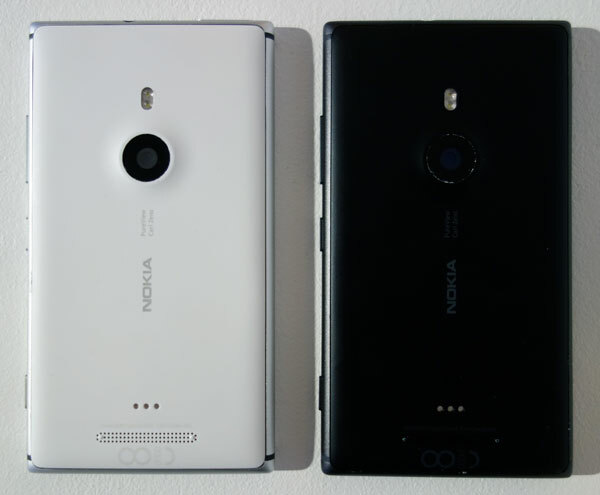 It's interesting to see that Nokia goes with a little camera hump. 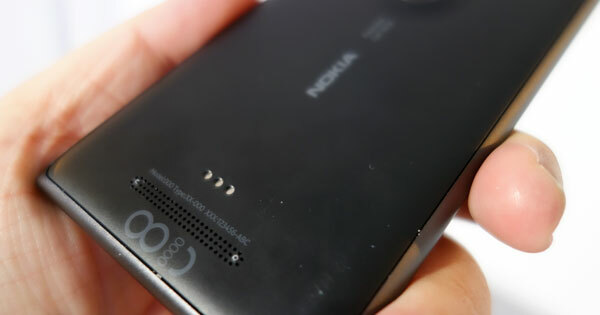 At the lower part of the rear side of the Lumia 925, you can see the three metal dots that represent the contact points for the wireless-charging snap-on case. 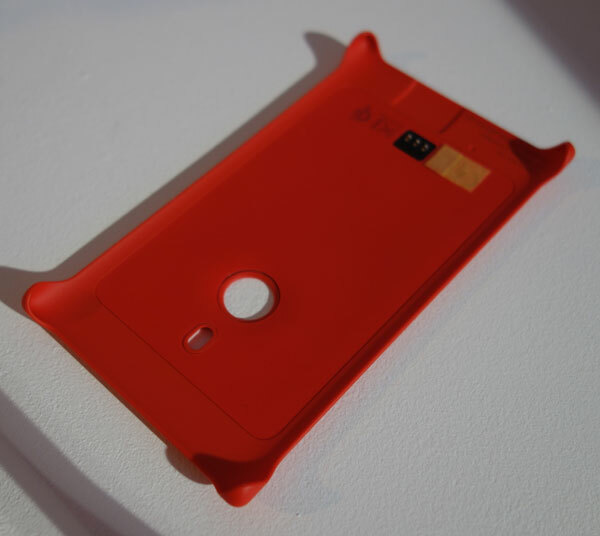 To achieve the 8.5mm thickness for the Lumia 925, Nokia decided to remove the built-in wireless charging capability present on the Lumia 920, instead putting that functionality into a set of snap-on cases that the user can purchase separately. One feature we particularly like is the use of a dedicated camera shutter button. Not very many smartphones bother having a dedicated camera shutter key; that makes the Lumia 925 a more credible smartphone camera than the competition in at least one way. 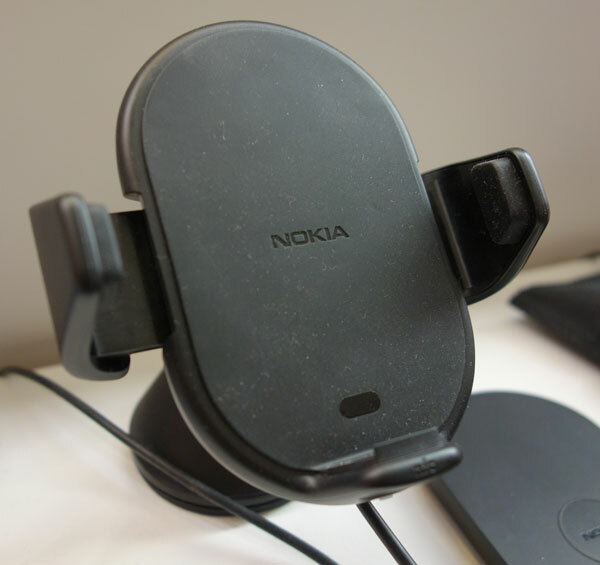 Nokia's moved just about all the necessary ports on the Lumia 925 to the top, as the image above shows. This leaves the bottom edge of the Lumia empty and free from clutter. 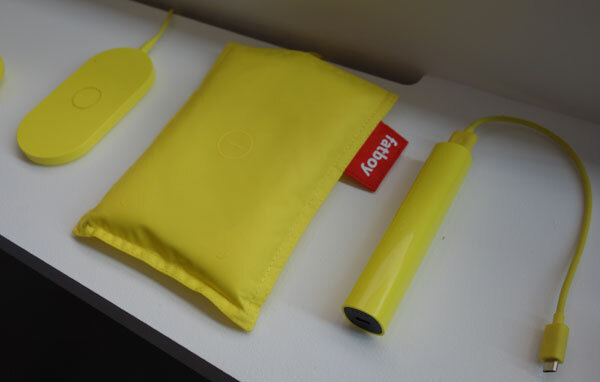 Aside from the snap-on cases, Nokia also had on display a selection of accessories that can be used with the Lumia 925, as well as the rest of their Lumia smartphone lineup. Below is a selection of some of the more interesting add-ons we came across. The snap-on cases for the Lumia 925 are physically quite unremarkable, but they aren't meant to be complicated accessories. They simply snap into place, with cutouts for the camera lens and the dual-LED flash. 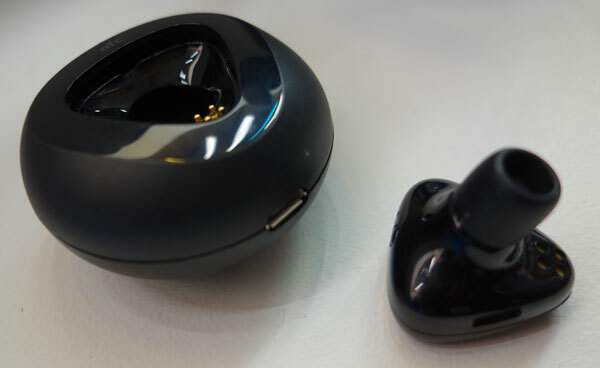 They do add a bit of thickness to the overall package, but the additional weight is almost unnoticeable. 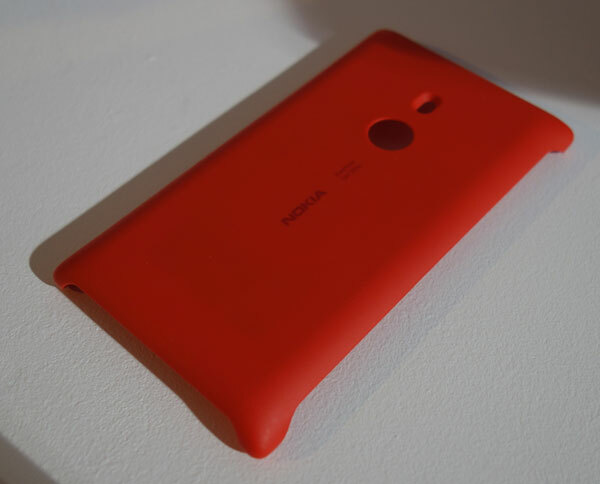 Nokia will produce four different colors for the case: red, white, black, and yellow. 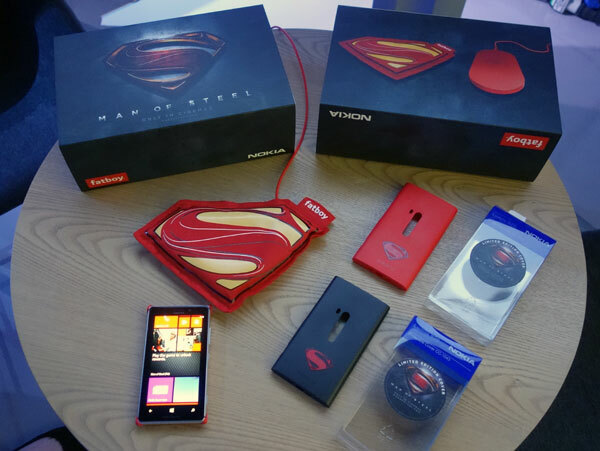 Spotted in a corner of the demo area at the Lumia 925's launch is what appears to be gear for a joint promotion between Nokia and the upcoming Man of Steel movie. The box will include a custom-designed Fatboy pillow charger in the shape of Superman's iconic chest logo, as well as a red Lumia charging plate. There will also be Superman-branded rubber cases, as well as wireless-charging snap-on cases emblazoned with Superman's S (not pictured). Best of all, this collaboration will apparently be made available in Singapore very soon.